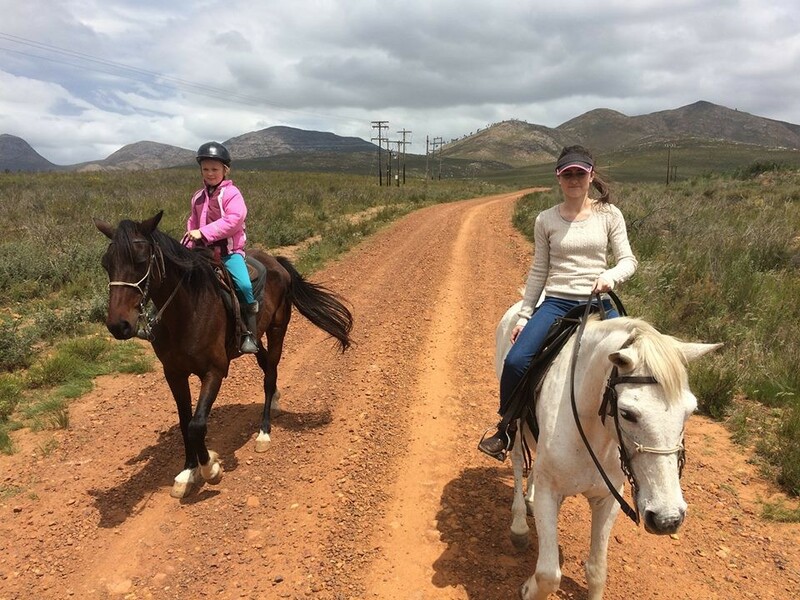 Moria riding school is situated on a working sheep farm 7 km outside Kareedouw, a picturesque villiage in the Eastern Cape. Kareedouw is situated on the popular Route 62 tourism route. 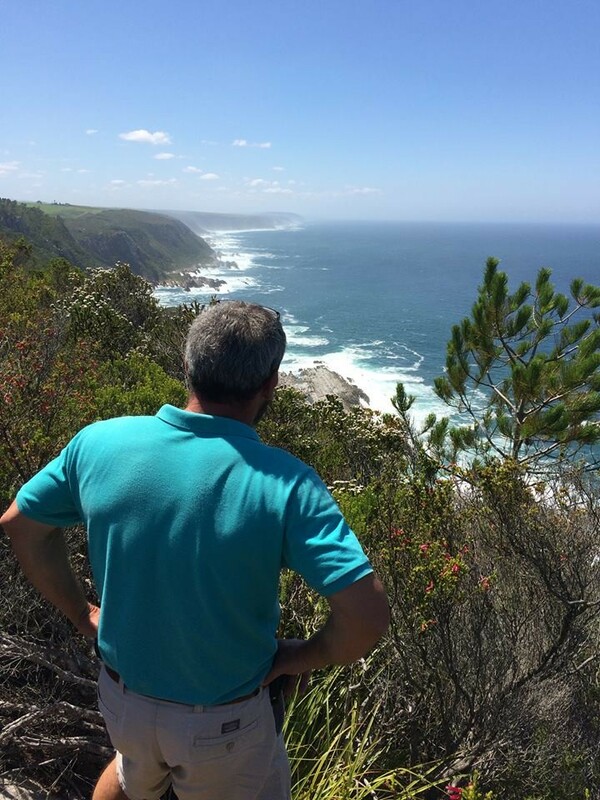 It is the gateway to the beautiful Langekloof Mountains and only 25 minutes from the Tsitsikamma National Park. 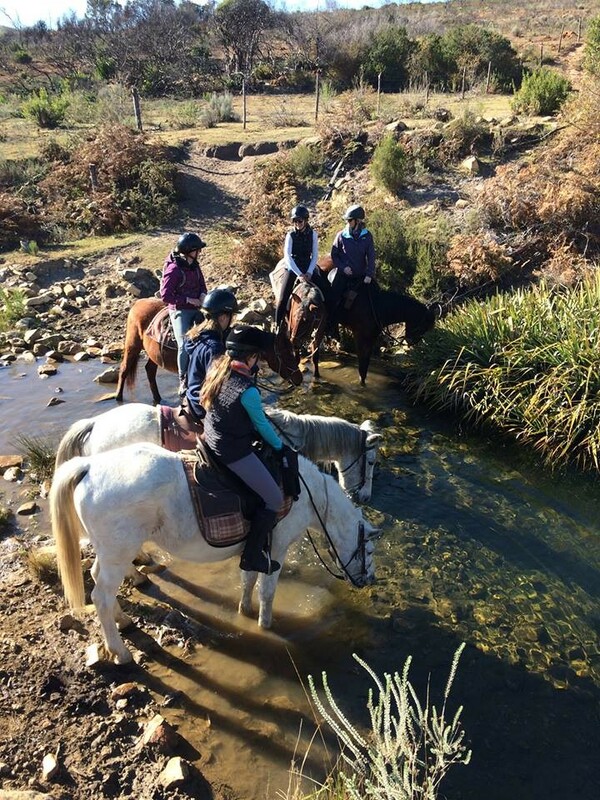 Moira riding school will tailor trips to guests needs, fitness levels and riding experience. 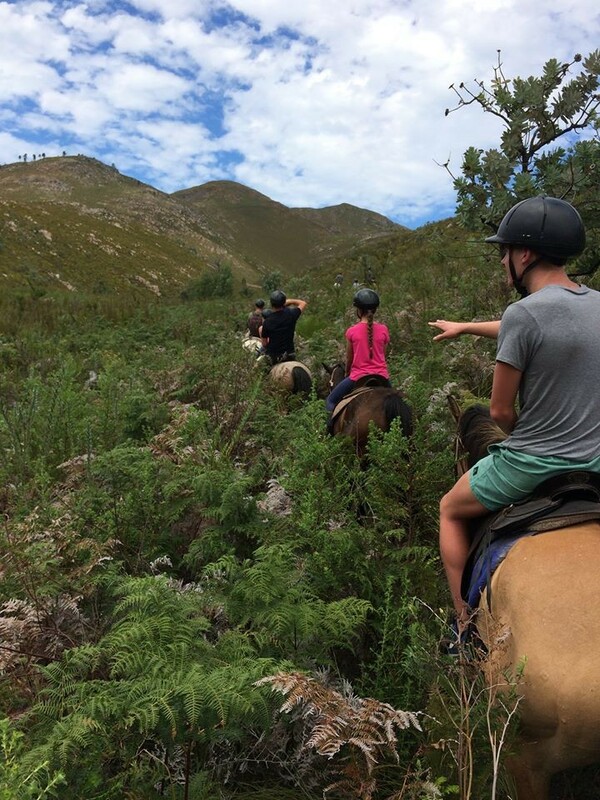 Outrides can vary from 1.5 hours to half-day trips. 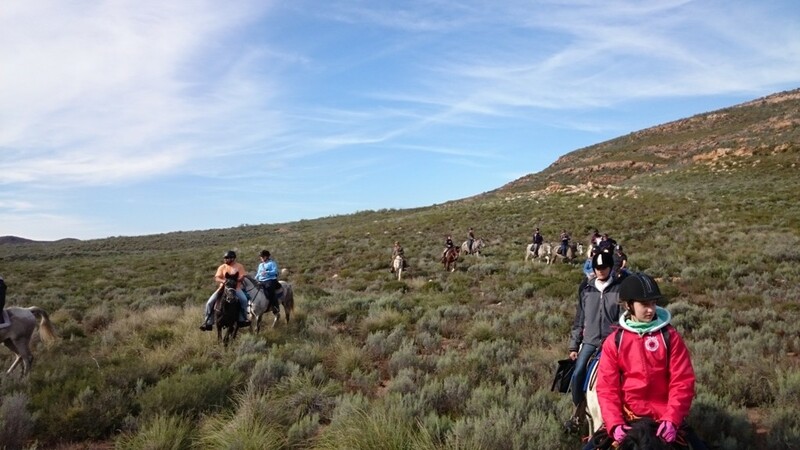 Longer outrides will include a small picnic lunch in the veld. 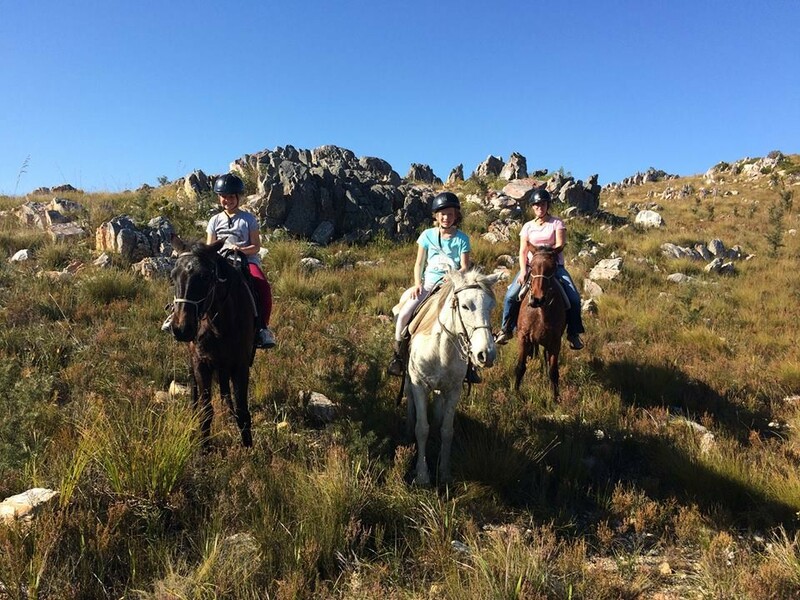 Groups are small, never more than 10 riders, and the emphasis is always on safety and enjoyment. 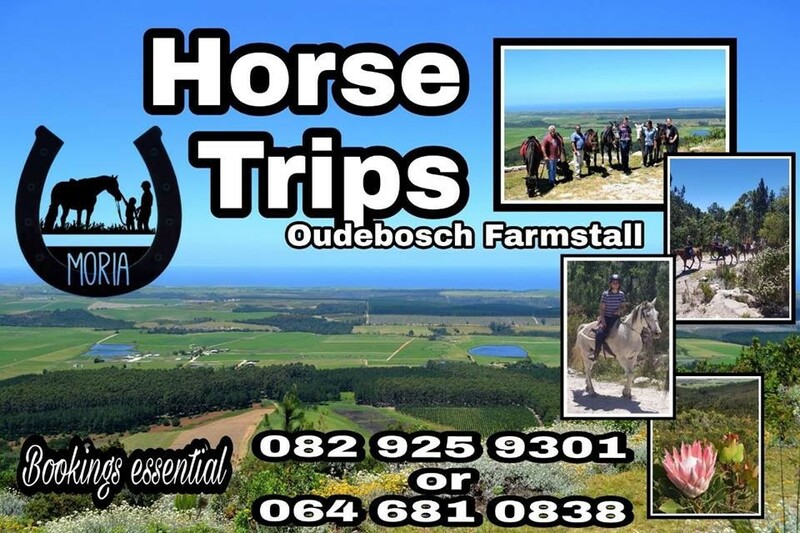 Horse rides is now also available from Oudebosch Farmstall in the Tsitsikamma. 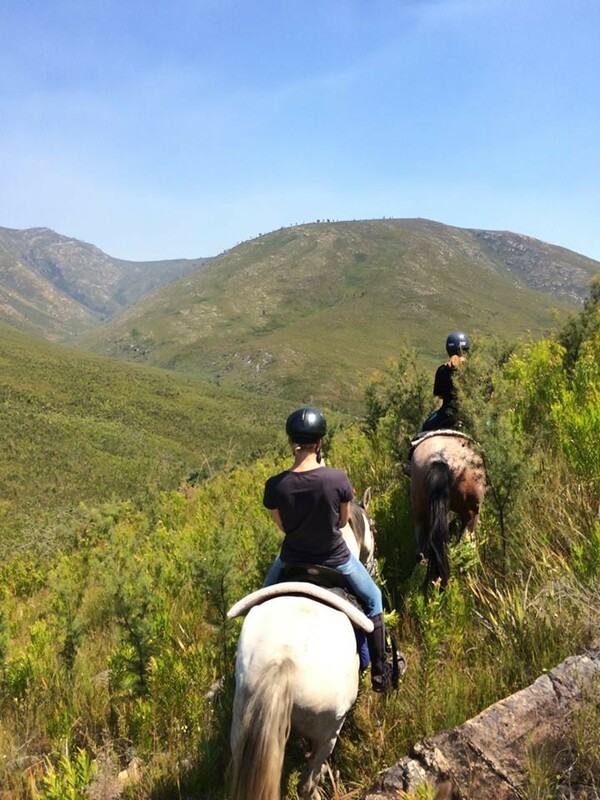 Any person with any level of riding skills can come and ride at Garden Route Horse riding by appointment. 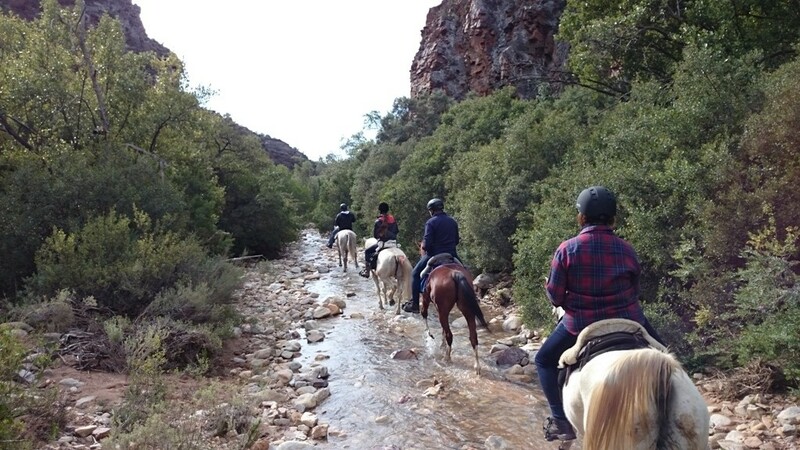 We can handle groups from 2 up to 10 riders. 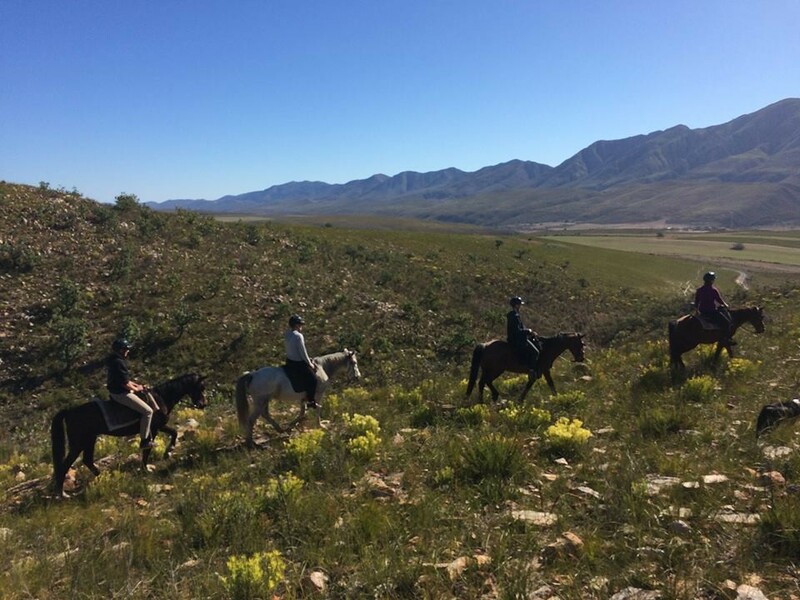 We ride in glorious mountainous fynbos fields. Please make sure you wear closed shoes or takkies. If the weather forecast looks a bit cloudy, bring a raincoat or a warm jacket along. Hats are compulsory and provided in all sizes. More advanced riders as well as beginners (and all those who are in between) are more then welcome! 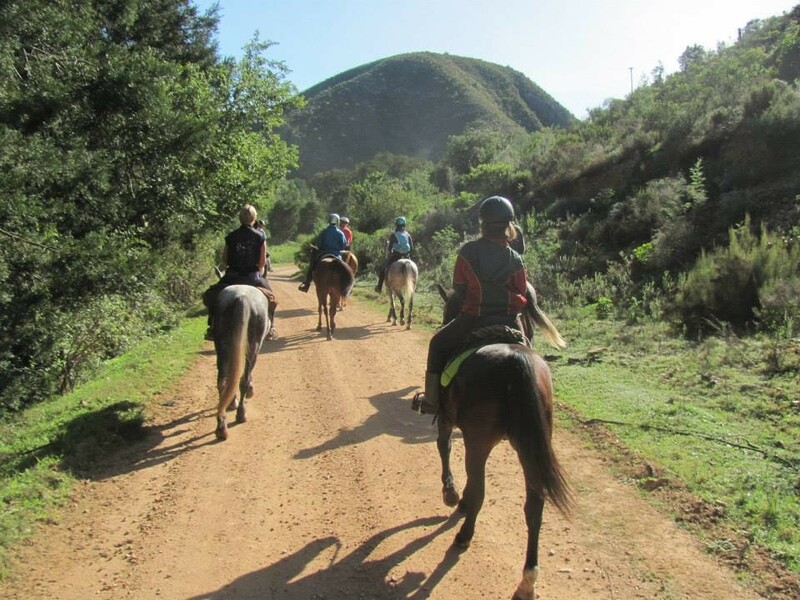 We have a horse and a trails for each of you!